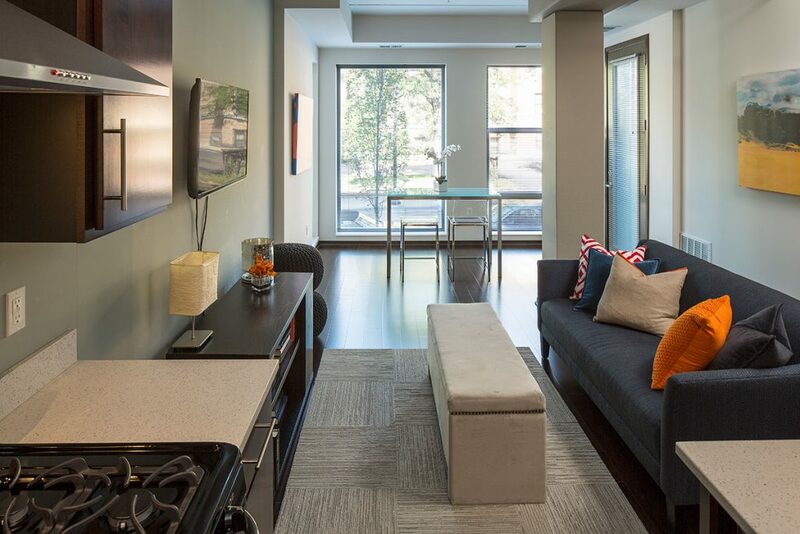 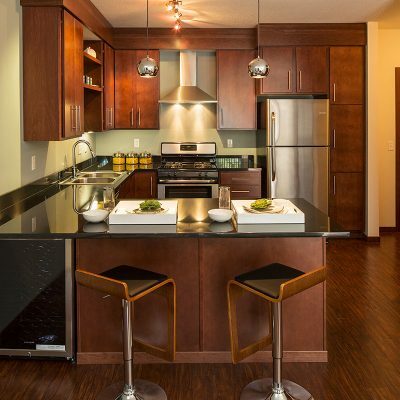 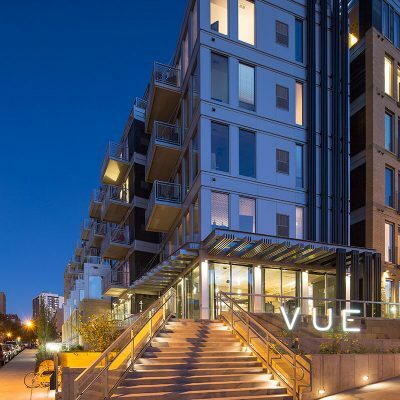 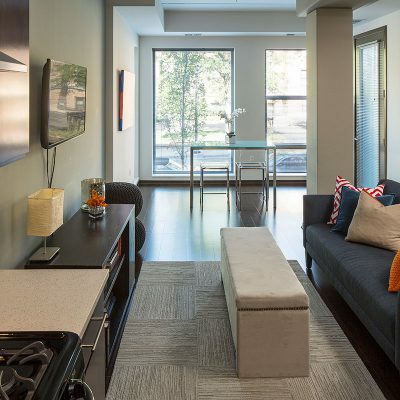 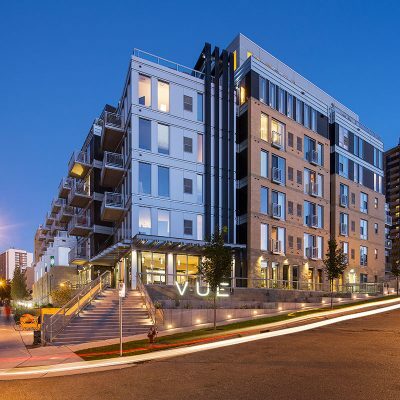 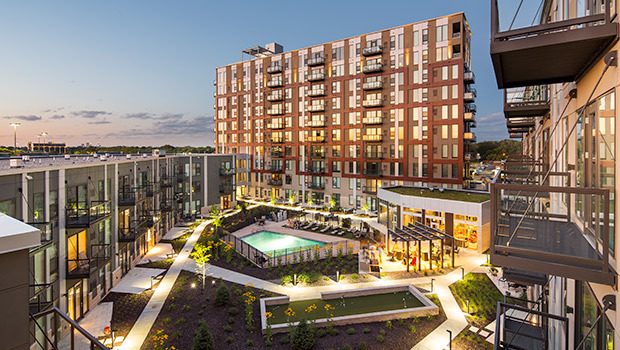 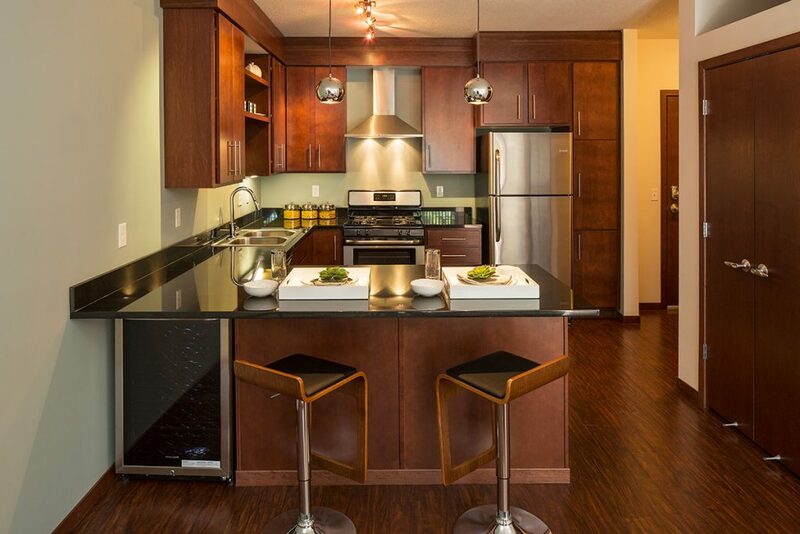 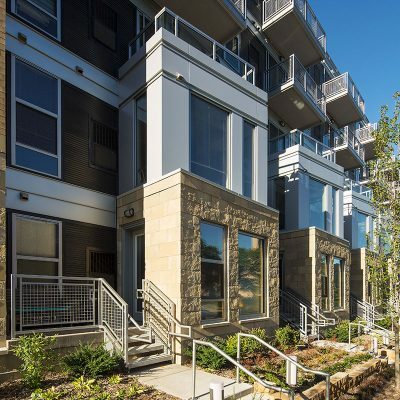 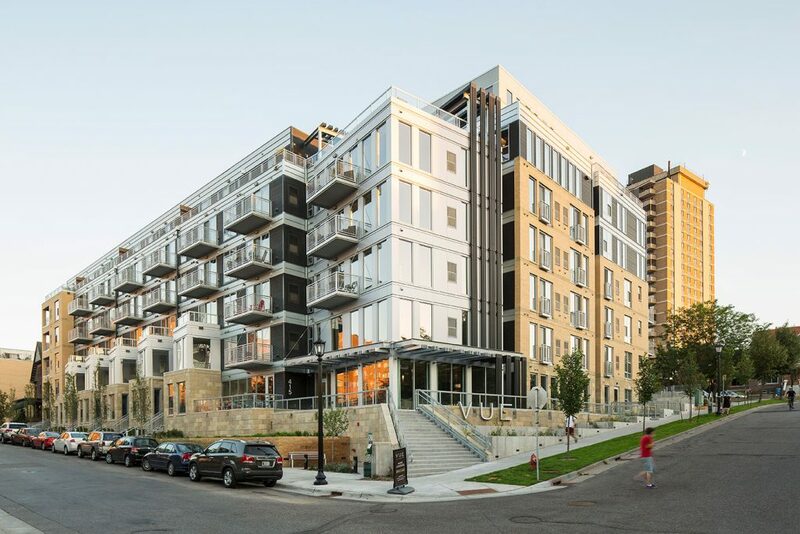 VUE is a seven-story upscale apartment building located in the Loring Park neighborhood of Minneapolis. 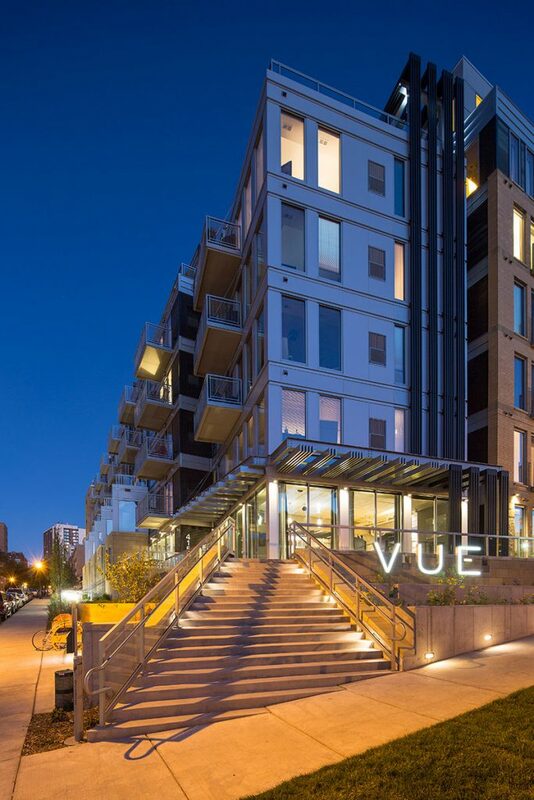 Historically, VUE’s site was home to multiple smaller residences. 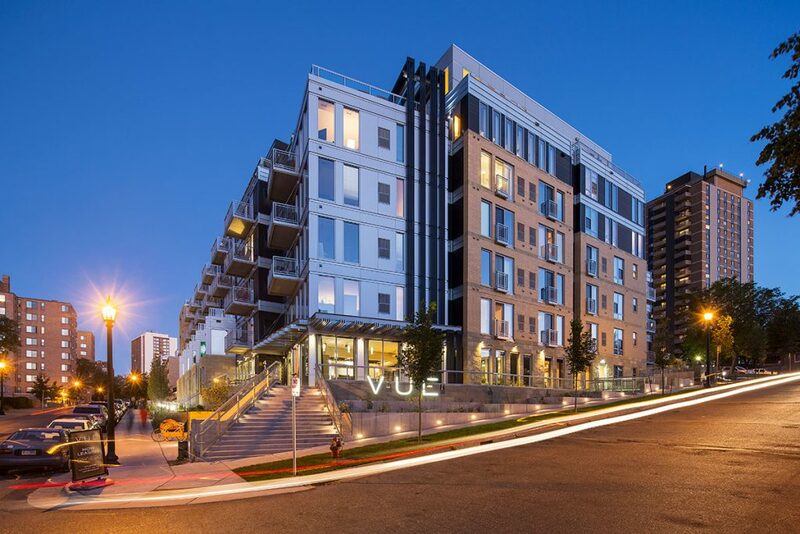 One of the many challenges of the site involved responding to the vibrant and historic site context while still expressing a contemporary, sophisticated presence. 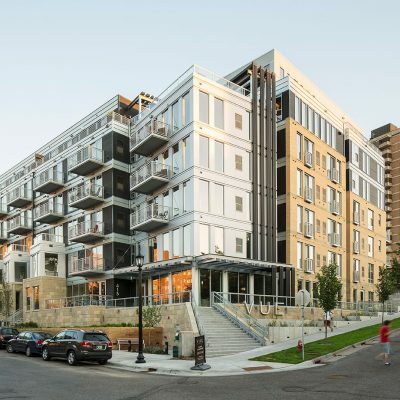 This was accomplished by designing a series of walk-ups along Oak Grove, which enforces the connection to the street and allows a pedestrian-scale interface along the building’s north façade. 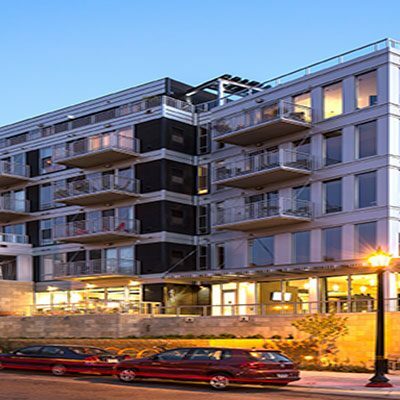 To maintain the appropriate scale and context, the building steps back along the north façade again at the fifth and sixth levels. 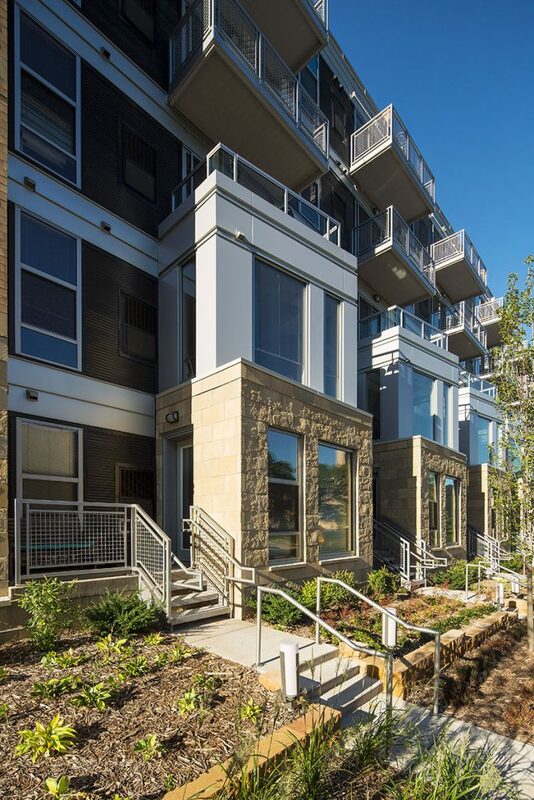 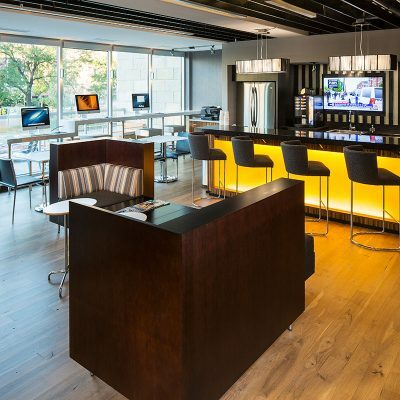 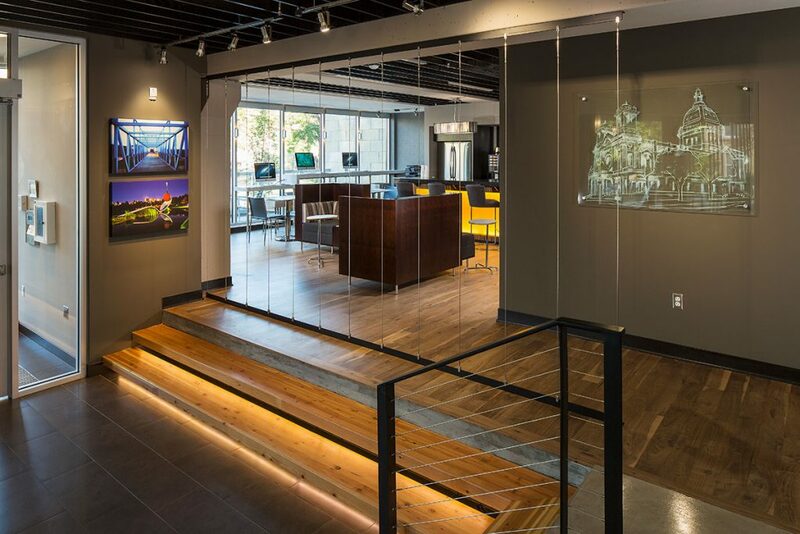 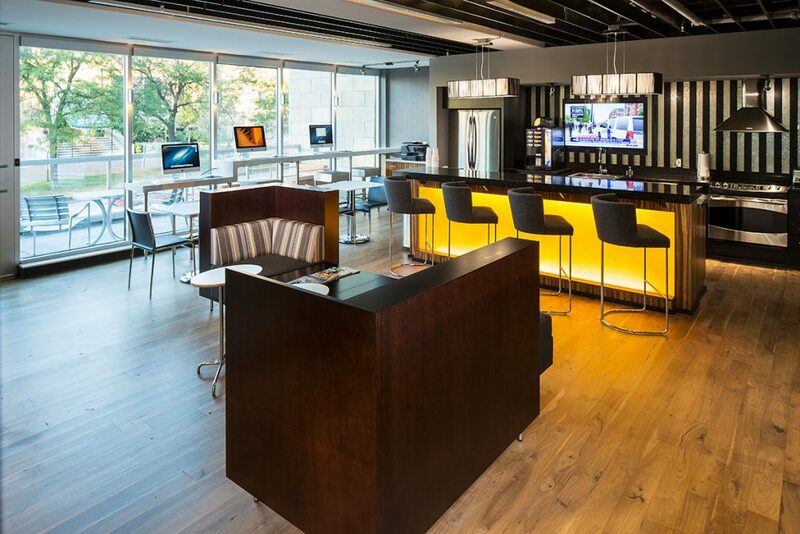 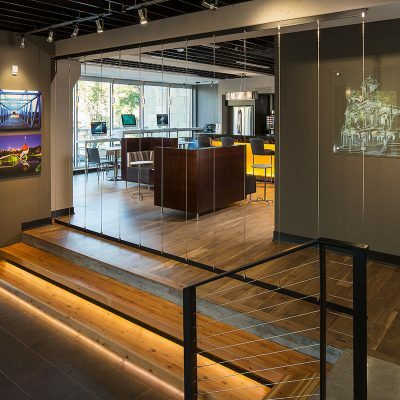 The open plan of the entry lobby, concierge counter, live/work cafe and flex space allows the residents to welcome guests and clients into an upscale high-functioning environment. 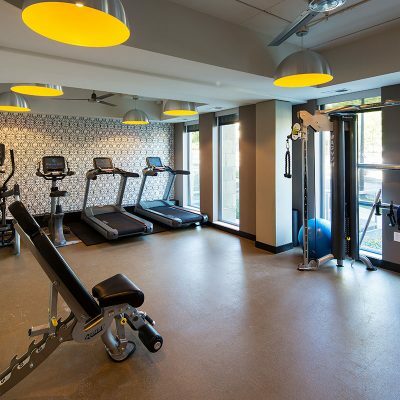 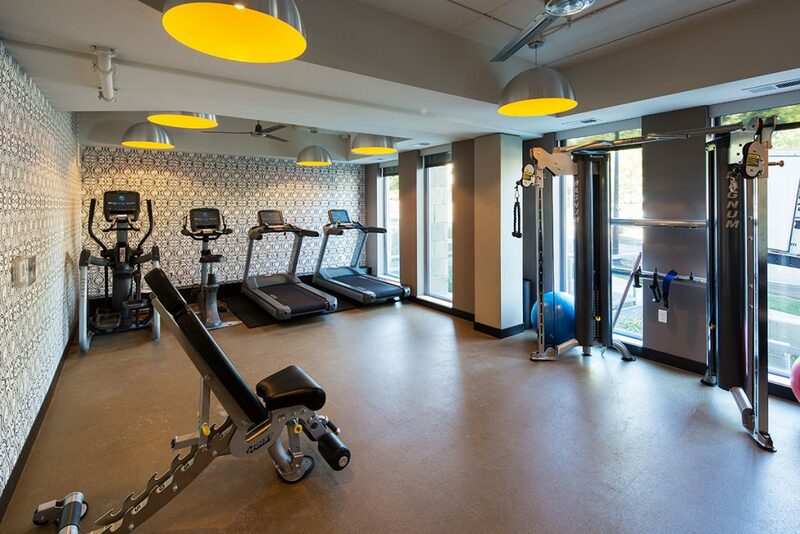 Residents also enjoy an amenity-filled lifestyle, with a fitness room, sauna, and steam shower located on the main level. 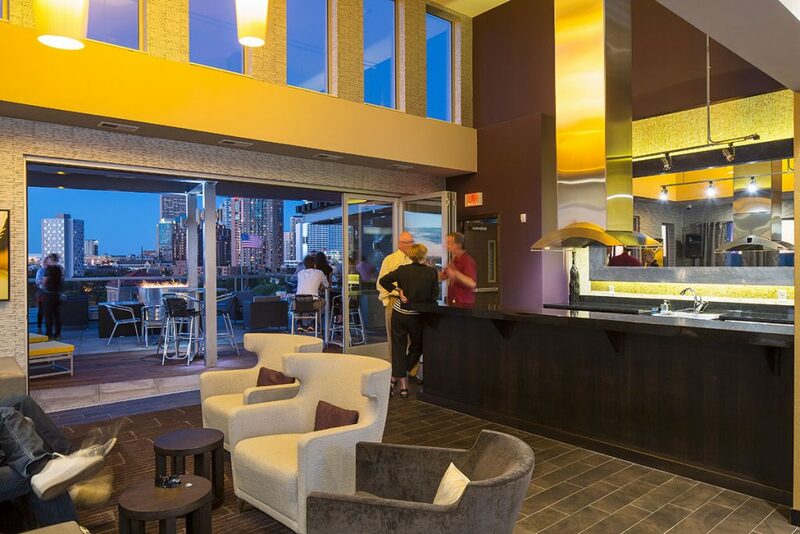 The 6th floor level reveals HALO, a two-level clubroom with a full glass folding wall. 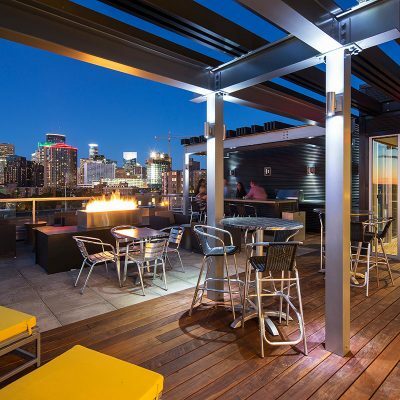 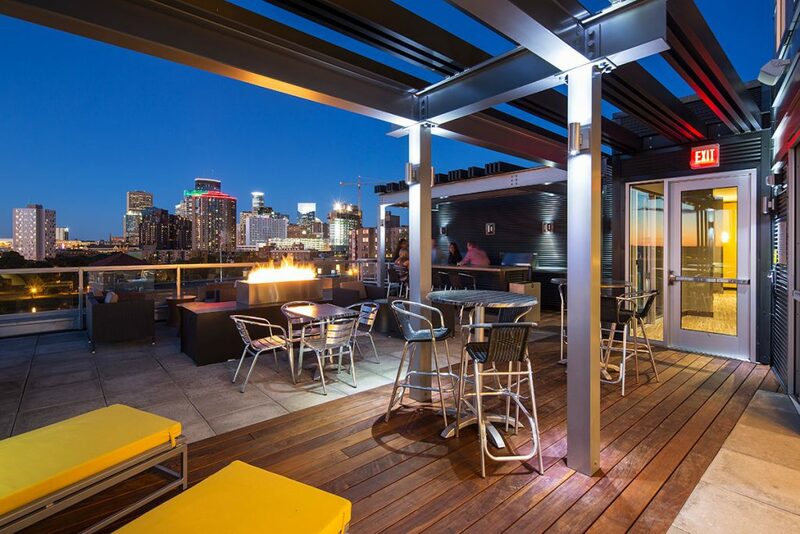 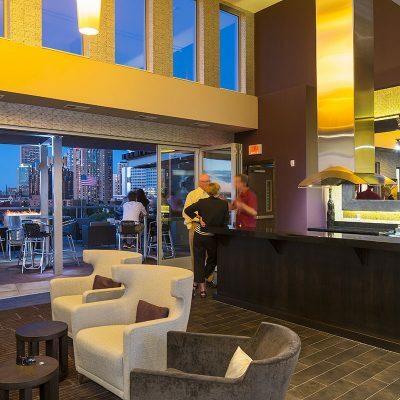 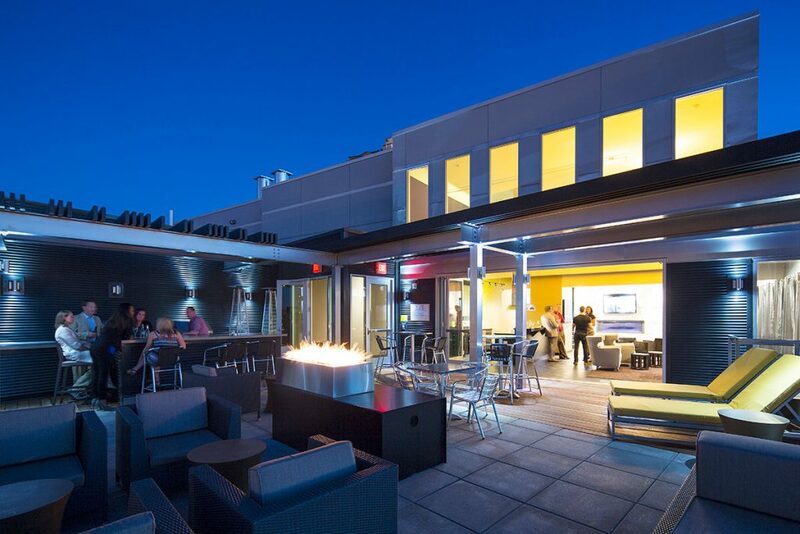 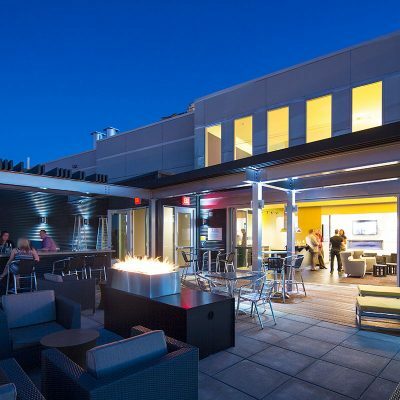 There, residents can relax by a glowing fire while they enjoy sweeping views of downtown Minneapolis.